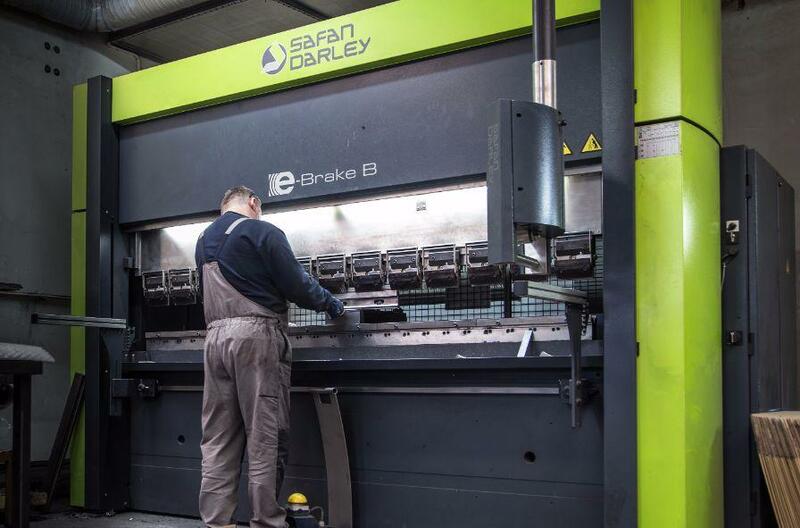 We offer metal sheet bending on press brakes, numerically controlled. We encourage you to use our comprehensive offer for the detail bending. We use the technically advanced Safan e-Brake B bender with press power of 80 T and bending edge length of 2500 mm. We have the ability to quickly perform bending operations as well as curving various materials with high accuracy and perfect repeatability. We have many tools (dies and punches), which allow us to provide a wide range of services. The materials for metal forming related to bending include: ordinary steel, galvanised steel, aluminium steel, stainless steel and acid-proof steel.